The friendly and experienced Guides at the FDC conduct excellent guided tours. We cater for small private groups through to large tour buses. Explore the interpretive centre and the walk trails, learning about wildflowers, animals and resources of the forest. A tree-top viewing platform allows visitors to enjoy the bush at canopy height and a handmade timber cutter’s hut and campfire area can be reached from one of the bush trails. Did you know Aboriginal people have six distinct seasons instead of four? They use the changing of these seasons to herald their move to new hunting grounds. Take a journey through the six seasons with a Noongar guide and learn how Indigenous people used the six seasons as a calendar to measure where and what to hunt, and how this method ensured survival and sustainable use of their land. Tour groups also be introduced to a number of traditional tools and discover many uses of plants and animals during a forest walk. The importance of totems in conserving species and sustainable management of the forest will also be discussed. Join a local Binjarreb elder for a cultural emersion tour. Spend 2.5hr exploring the traditional culture and skills of the longest surviving continual culture on earth. This tour begins with a welcome to country and smoking ceremony and then takes a journey through the surrounding Jarrah forest to learn how Indigenous people used the six seasons as a calendar to measure where and what to hunt, and how this method ensured survival and sustainable use of their land. Tour groups will also be introduced to a number of traditional tools and discover many uses of plants and animals during a forest walk. The importance of totems in conserving species and sustainable management of the forest will also be discussed. Participate in a yarning session around a fire while watching or participate in fire lighting and glue making demonstrations. This tour includes a sample of damper, kangaroo and billy tea. Tours are available all year round but must be booked in advance. 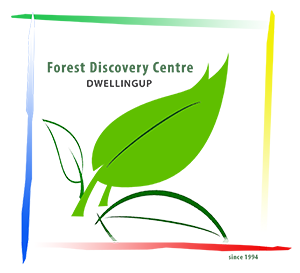 To make a booking please contact the FDC on 08 9538 1395 or email admin@forestdiscoverycentre.com.au . Catering for morning tea, lunch and afternoon tea can be arranged at the time of booking.